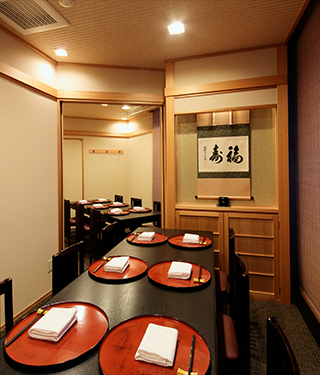 The interior has private room seats and counter seats. The warmth of trees and the soft glow of lights surrounding the table. 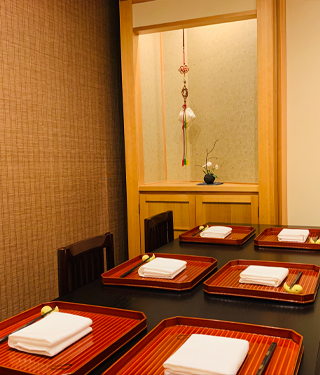 We enable you to enjoy your meal by creating a space in which everyone can relax. We've described the atmosphere of the restaurant interior, so please look at our rooms before your meal. 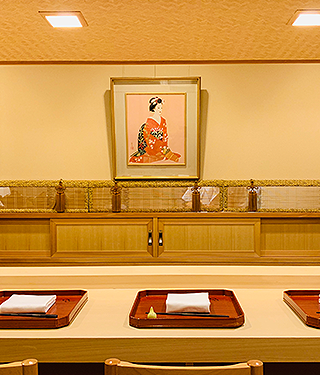 You can enjoy your meal while watching the artisan do their work at the counter seats. 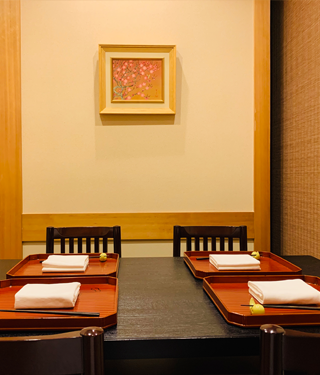 Private room for 4 people. 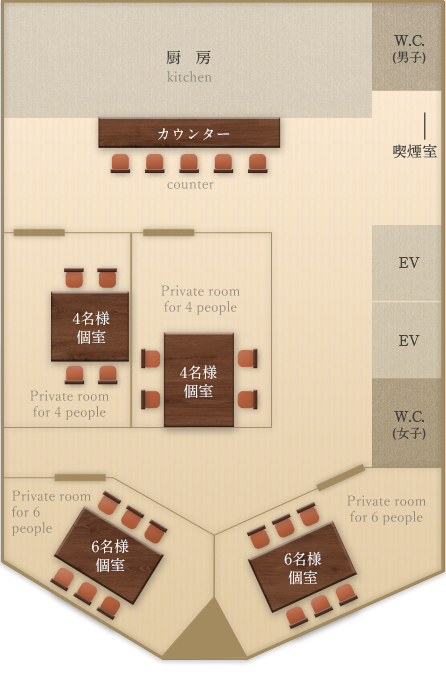 We have 2 private rooms for 4 people. 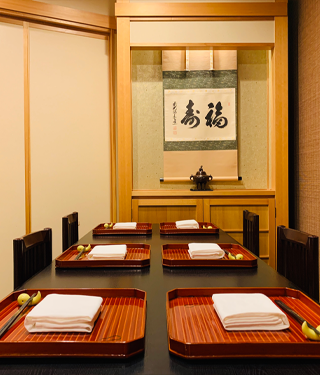 They are ideal for lunch after shopping at Ginza, or having a dinner party with your friends at night. Please spend your happiest moment with someone you get along well. We have 2 private rooms for 6 people. Please use them for meetings and receptions. 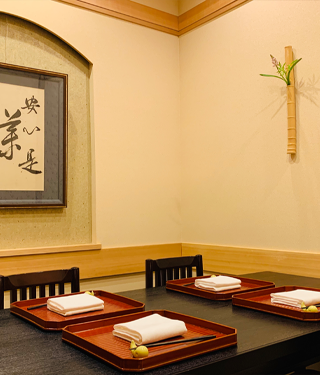 We put our efforts into creating the atmosphere we want, inside the restaurant interior where you can feel warmth, in order for our customers to be able to have a peaceful time without being formal. We have one private room for 8 people. Please use it in various situations, such as meetings, celebrations and dinner parties. Spend a moment in a spacious room. Our largest private room is for 12 people. It is ideal for formal receptions and dinners. 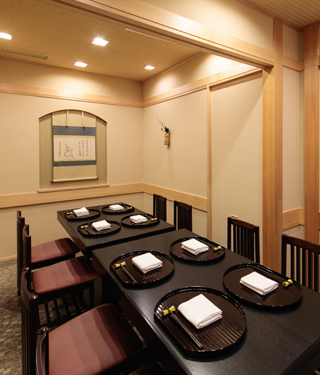 You can enjoy your meal while relaxing without having to worry about your surroundings.